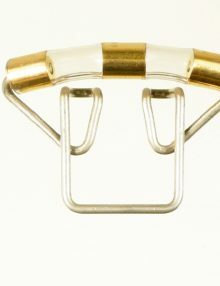 The one-piece back of medium curl running horizontally across flanks. 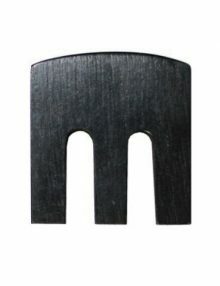 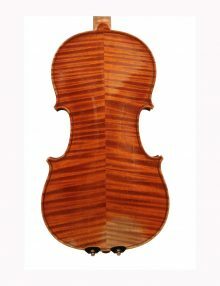 The two-piece front of medium fine grain running evenly across flanks, the ribs and scroll are similar. 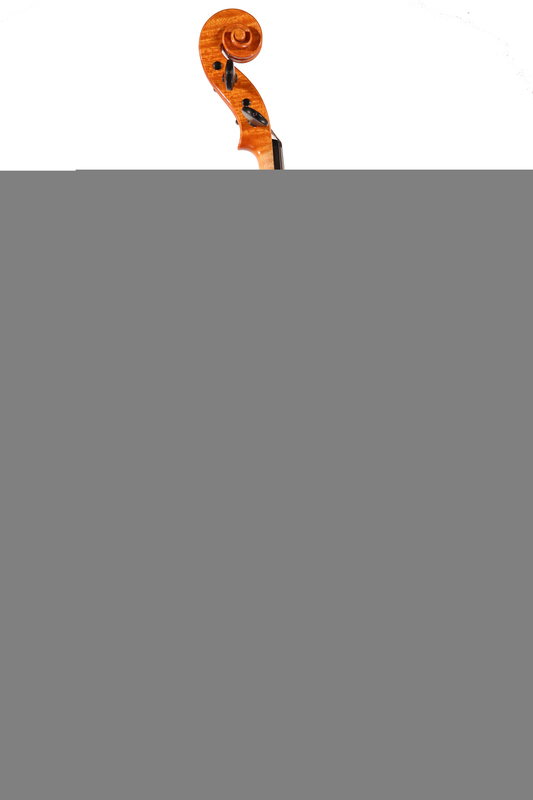 Varnish of yellow-brown colour on a yellow ground. 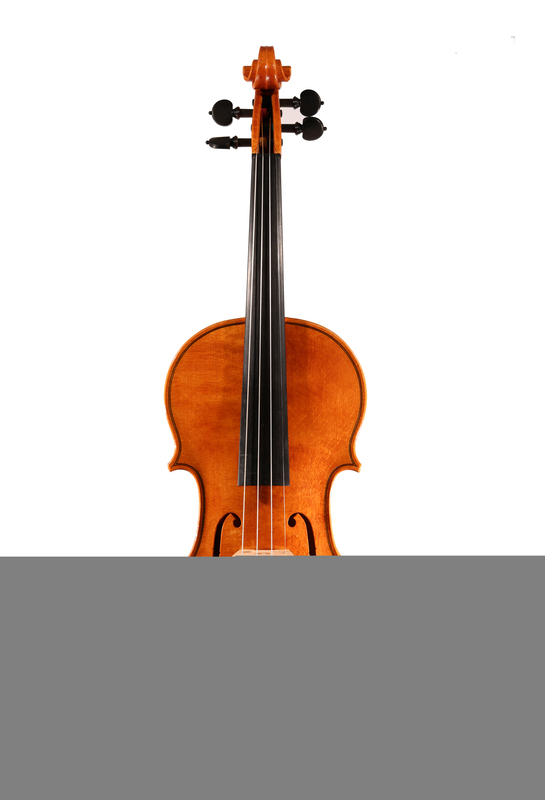 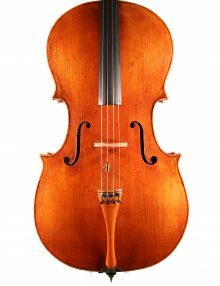 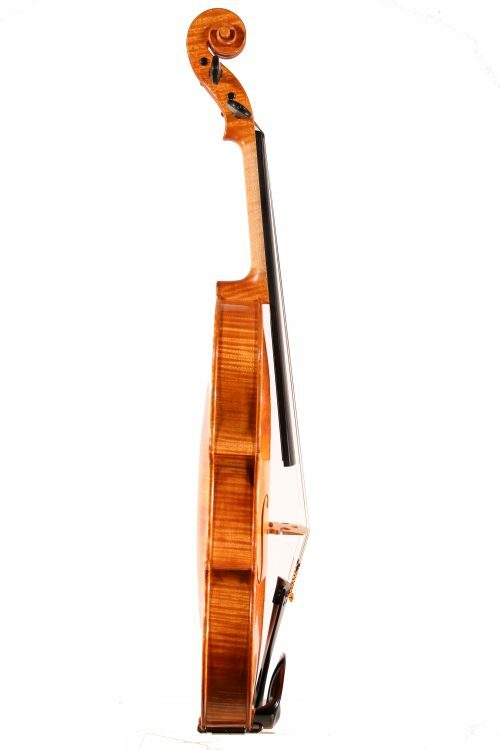 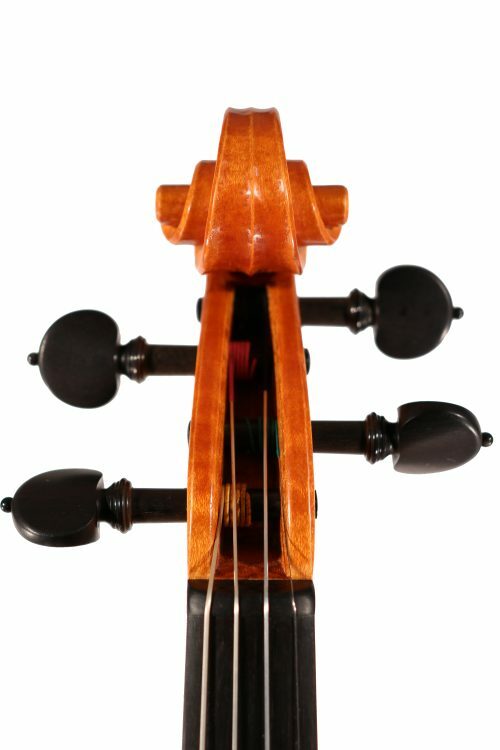 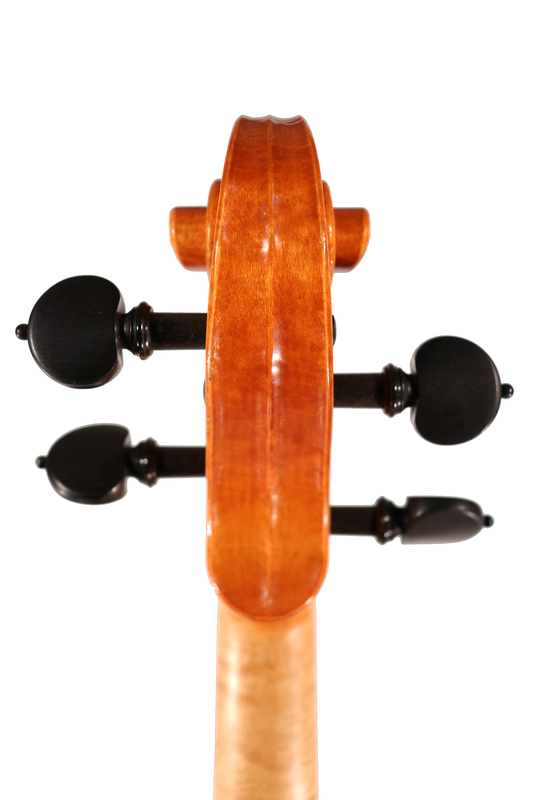 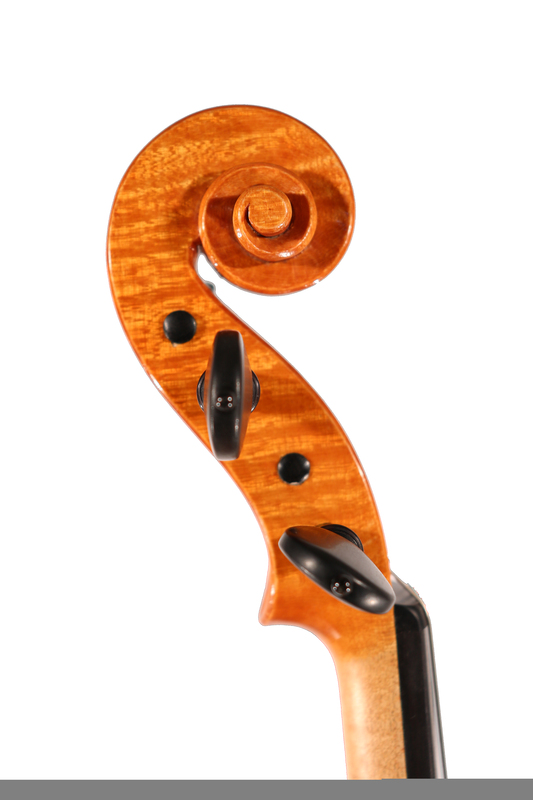 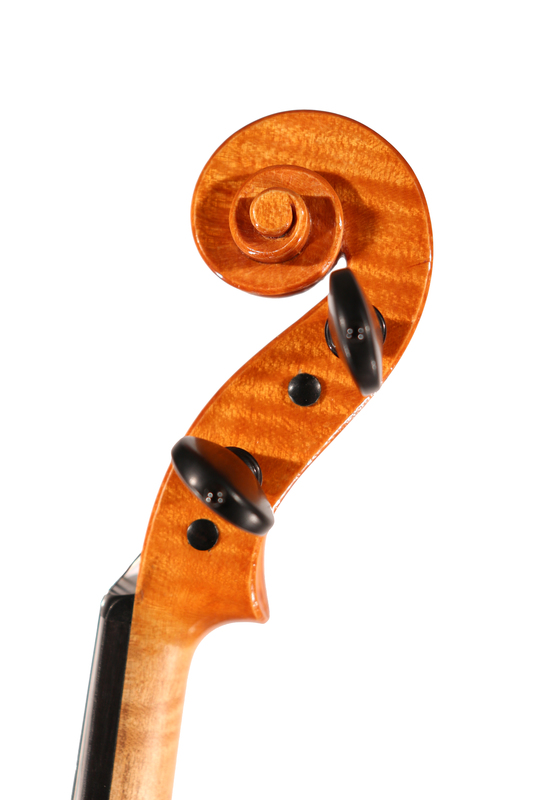 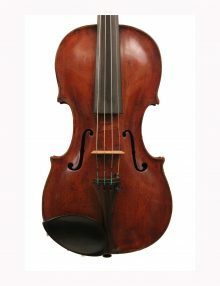 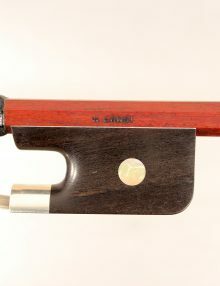 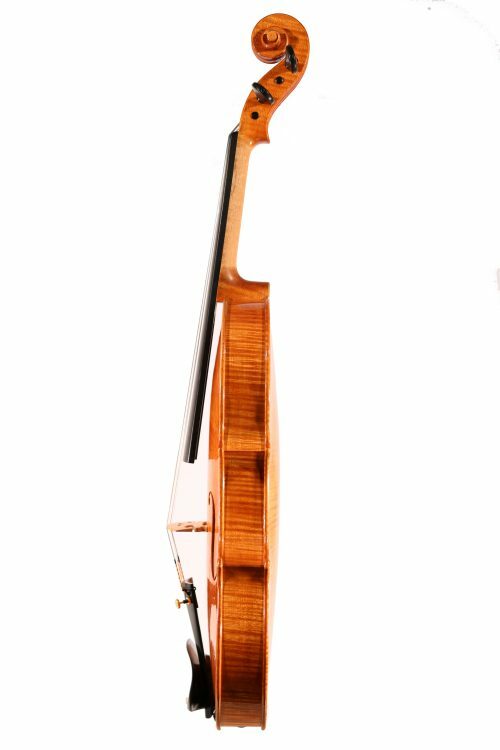 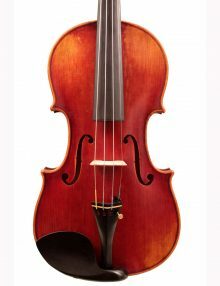 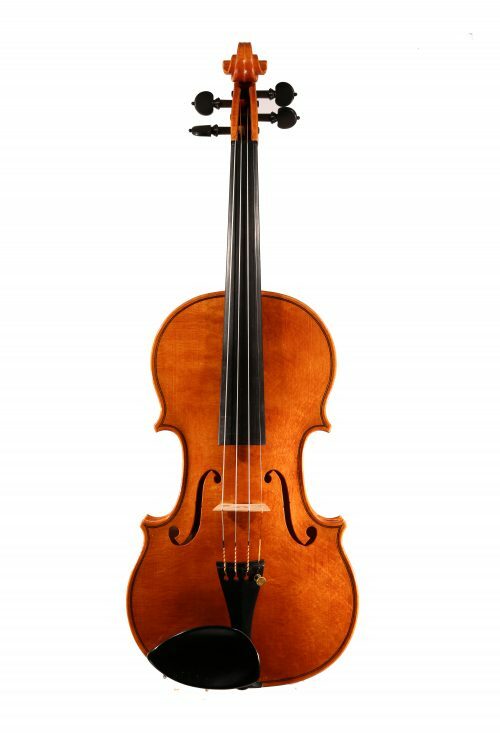 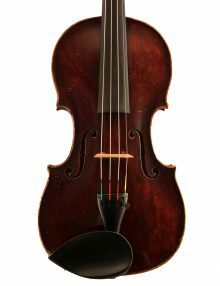 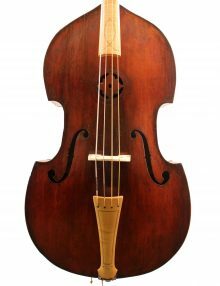 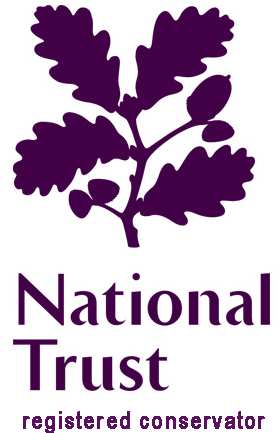 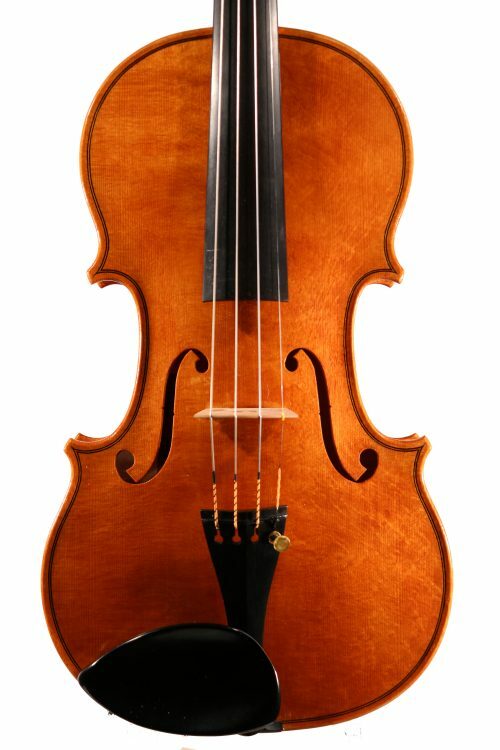 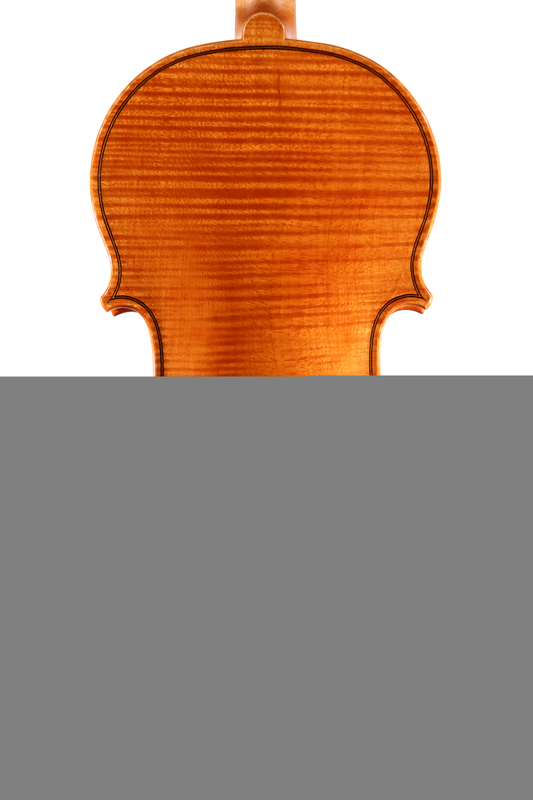 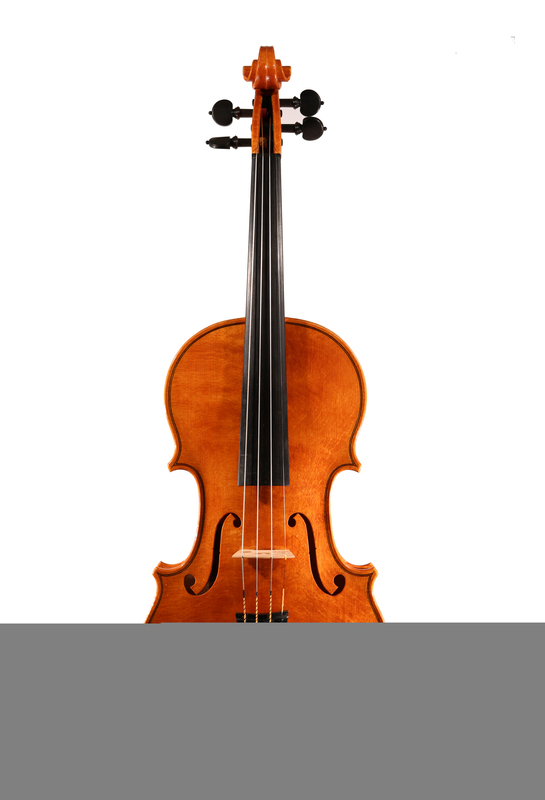 I am a violin maker based near the Barbican and LSO St. Luke’s in London. 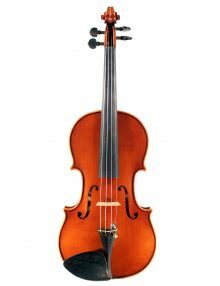 I graduated from Newark School of Violin Making and now specialise in combining my passion for crafting violins with a background in acoustics. 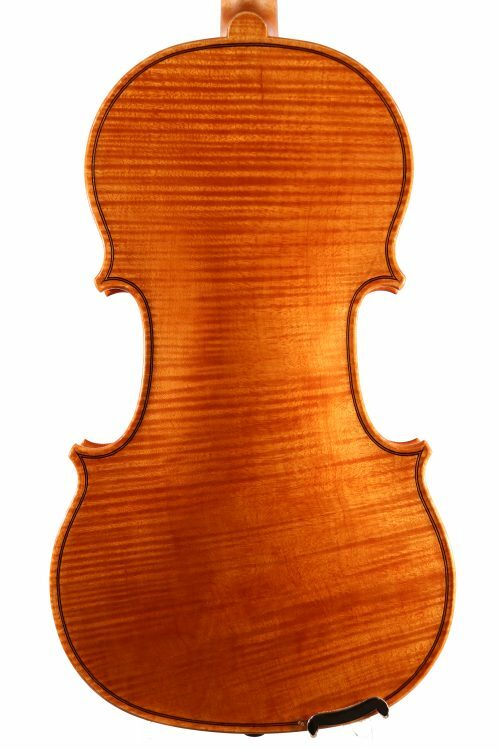 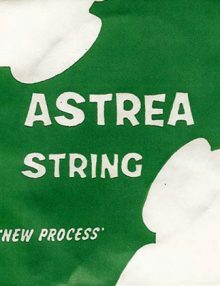 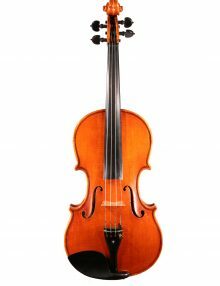 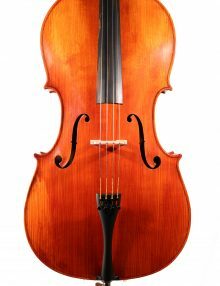 I get completely absorbed in all the intricacies of making violins and how subtle changes at every stage contribute to the feel, presence and tonal character of each finished instrument.